West Palm Beach, FL (August 5, 2010) – The Central American and Caribbean Games may have been Farewell IV’s first time competing at a show outside of the country, but it turned out to be an award-winning gold adventure for the Westphalian stallion and his owner, trainer and rider Colombian dressage rider Marco Bernal. Farewell IV and Bernal helped their team capture the Gold Medal in Puerto Rico and two days later the duo won the Individual Gold Medal. 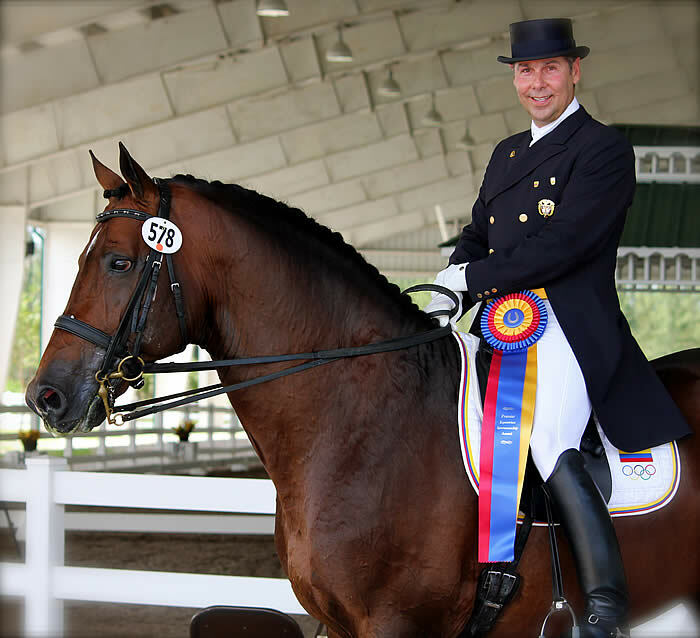 A special gold medal was also awarded to Bernal for the top rider-horse combination in the Prix St George and Intermediaire I.
Ocala, FL (July 12, 2010) – The Sanctuary Equine Sports Therapy & Rehabilitation Center in Ocala, a state-of-the-art facility dedicated to the healing, conditioning and well being of all equine athletes, is now sponsoring international dressage rider Marco Bernal. 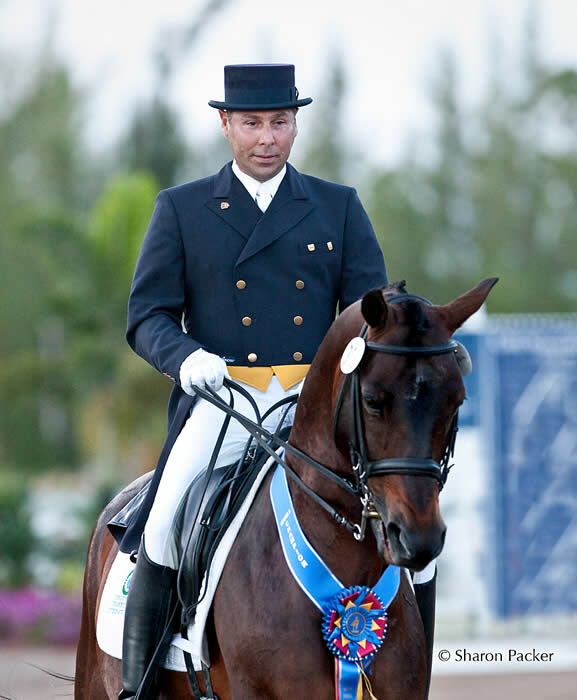 A Colombian dressage rider and owner of Marco Bernal International Dressage in Wellington, Bernal has a long and accomplished dressage career which includes representing his country in the prestigious 2009 Rolex FEI World Cup in Las Vegas.